14 December 2009, at 10:37a.m. BRAZIL - Petersime, the Belgium-based world leader in incubators and hatcheries, is proud to announce the opening of a brand new subsidiary, Petersime do Brasil Incubadoras e Incubatórios Ltda., in Criciúma in Santa Catarina. 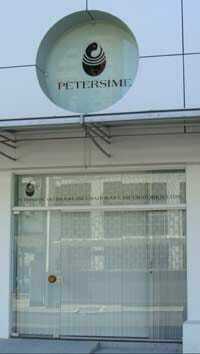 Petersime do Brasil will be the key point of contact for the entire Latin American continent. With its new Brazilian subsidiary, the company has highlighted its commitment to better serving its customers in the region, offering quick and reliable service without any time, location or language barriers. Brazil, one of the largest poultry-producing countries, is a major player on the worldwide poultry market. Petersime is convinced that it can successfully meet the increasing demand and high efficiency requirements of the Brazilian poultry production industry. Its patented Embryo-Response Incubation technology translates into greater efficiencies, delivering greater chick uniformity, lower feed conversion ratios and better post-hatch performance. With its reinforced presence in Latin America, the company looks forward to adding value to the local industry and providing its customers with even better support. Donato Moro of Petersime do Brasil said: "In the poultry industry, customers need reliable partners, and this is all the more true when it comes to the fragile business of hatching eggs. Petersime do Brasil welcomes the opportunity to act locally and offer our current and future customers quick, quality service when they need it most. Our new set-up also features a spare parts warehouse for the speedy delivery of spares on demand, as well as a team of qualified Petersime engineers on hand to answer any customer queries in Spanish and Portuguese."